New home builders charge an average of $56/hr for their services, but expenses usually vary depending on the size of the property and the cost of materials. Generally, building rates can go from as low as $50/hr to as high as $80/hr. All prices stated in this article are based on FY 2016 pricing data compiled by ServiceSeeking.com.au. The figures resulted from a comprehensive analysis of quotes submitted by New Home Builders on the site from July 2015 to July 2016. Job details: She was looking for tradies to build a duplex that’s approximately 500m2 in size. She wanted it to have brick veneer flooring and skillion metal roofing as well as a detached garage with a studio. Other details: She already had a house plan and council approval. 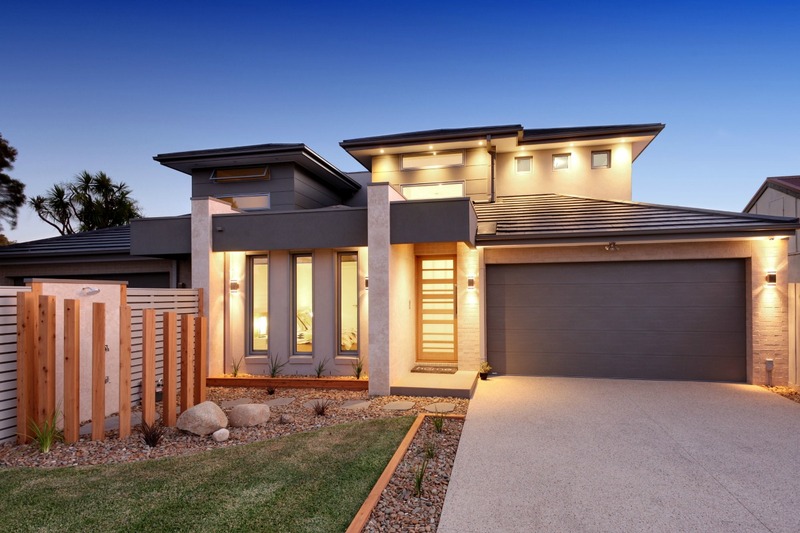 Job details: He needed tradies to design and construct a new duplex. He had no house plans yet, and he needed help with council approval too. Job details: He neeeded a builder for a two-bedroom, two-level unit development. Other details: He already had plans and permits for the construction. When you hire licensed builders, you are assured of high-quality workmanship. This is the main reason why their services are usually more expensive than those of unlicensed tradies. The bigger the home, the costlier it will be. Naturally, you will need to spend more money if your new home will be a three-storey house with lots of rooms instead of, let’s say, a standard bungalow. The cost of materials will likely depend on the size of your new home. A bigger home will require more materials, which means added costs. The kind of materials should also be taken into account. Higher-quality materials will be more expensive, but their durability can ensure the safety of your home for years to come. Similar to the cost of materials, the timeline of your new home project will also depend on its size. If it’s a large multiple-storey home, then it will take longer to complete. Obviously, this also means that you’ll have to shell out a bigger amount. 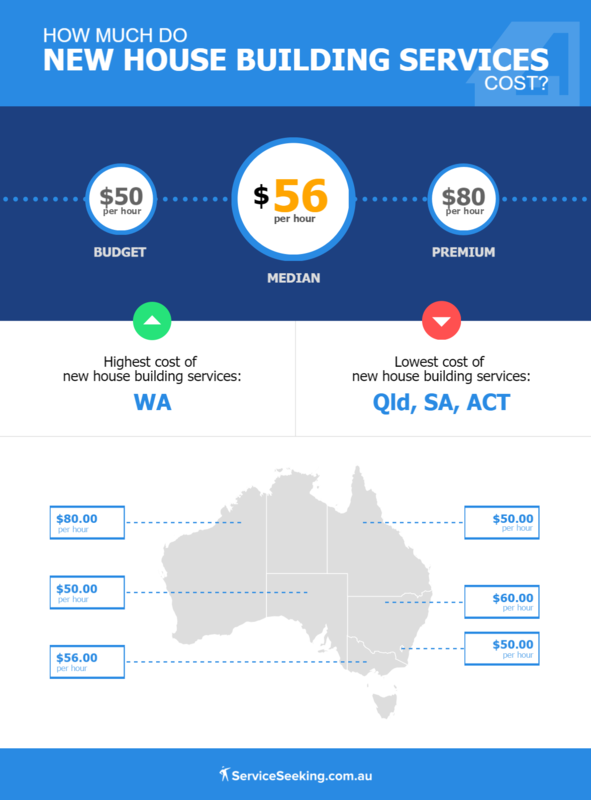 The cost of building a new home is lowest in Queensland at around $50/hr. Builders in South Australia and the Australian Capital Territory also charge the same average rate as their Queensland counterparts. In Victoria, new home building services cost approximately $56/hr. Meanwhile, prices are only slightly higher in New South Wales at about $60/hr. Rates of home builders in Western Australia have an average of $80/hr, which is the highest across Australia. ServiceSeeking.com.au can help you find licensed builders who will turn your dream home into a reality. Check out our list of the best new home builders in your area.